The 3 Simple Strategies to Start the Business of Your Dreams on Your Terms! 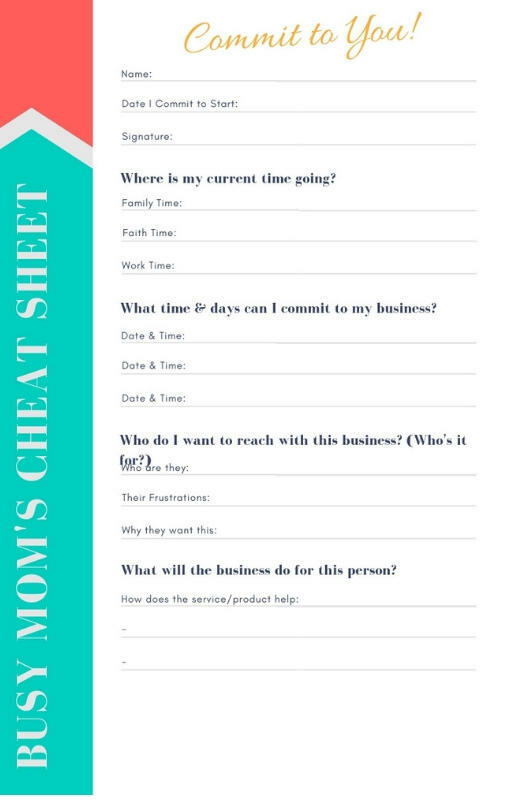 After working with many mom's, I've created this free cheat sheet to take the guesswork out of the most important first steps when creating a business you love. Grab your free cheat sheet today and gain clarity and a starting point in a few minutes! Getting clarity is the key to everything else you'll do in your business and the secret is..it's easy to do. In this cheat sheet, we quickly jump straight to the point so you don't waste any extra time wondering what's next. You don't have to know every little detail, you just need to answer 3 simple questions and you're ready to rock and roll!